Bile acid transport and secretion by the liver is one of the important steps in the recirculation of bile acid within the body. After bile acids return from the intestine, they have first to be taken up by the parenchymal liver cell, then transported from the sinusoidal pole to the canalicular pole of the cell, and finally secreted into the bile canalicular lumen. In addition, unconjugated bile acids have to be conjugated, chiefly with taurine or glycine, before secretion. 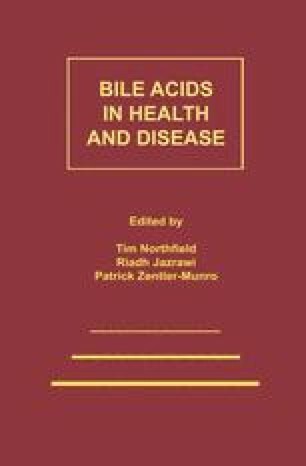 The purpose of this review is to examine the cellular mechanisms of bile acid transport by the liver, with particular emphasis on intracellular transport, the step which is at present least well understood.